Matt Cox made his daughter, Kristen, walk five miles to school in 36-degree weather after she was suspended from riding the school bus on November 30. 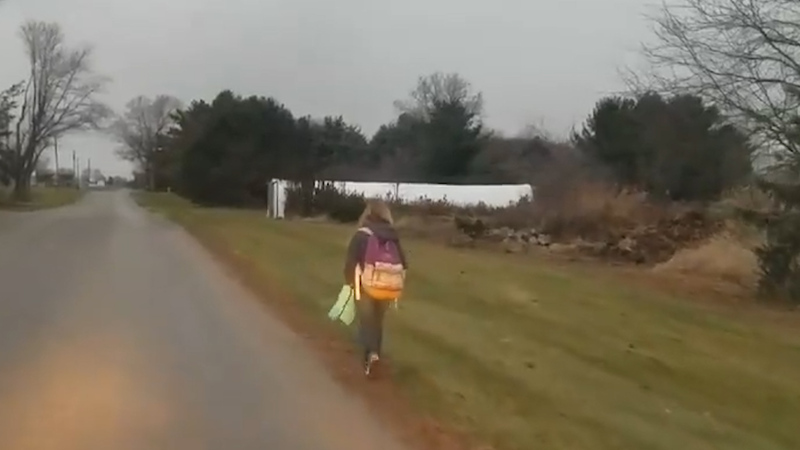 A father in OH made his 10-year-old daughter walk eight kilometres to school to teach her a lesson after she was kicked off a bus for bullying other students. "Bullying is unacceptable", Cox said in the video. He shared the video on his Facebook page, which received an overwhelming response from users - both criticizing and praising his lesson. "She said 'Daddy, you're going to have to take me to school next week, '" Cox said. "I am doing what I think is right to teach my daughter a lesson to stop her from bullying", he said. "I believe when she is older she will be thankful for this lesson you've taught her", another person wrote. Mr Cox added that many children feel entitled to privileges like being taken to school in the morning by auto or bus. The video shows the student walking along a road with her backpack on and another tote in her hand. "That was me showing how I hold my kid accountable", he said. "So in some ways, this father is doing the right thing of admitting and accepting his daughter's behaviour", she said. In an update to the original post, he assures the world that his daughter lost no limb to the cold and that, by the end of the walk, she had calmed down enough to understand where she'd been wrong. "You are teaching your child accountability for her actions and I fully support your tough approach with her." wrote Kate Millar Young.